These tours can accommodate children as well as grandparents, a great family bonding experience! 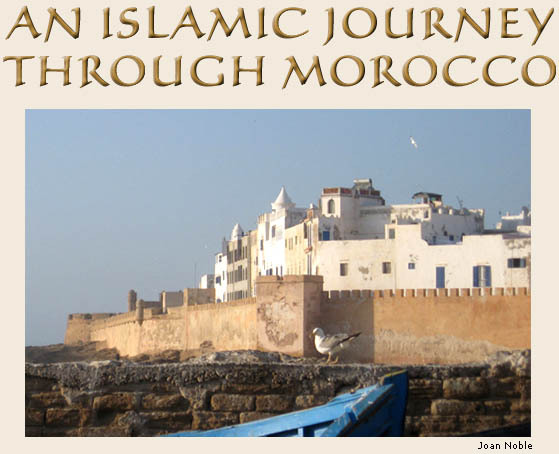 Islamic journeys can be especially designed for groups of Muslims, curious to experience all this country has to offer. We'll visit important holy cities, such as Moulay Idriss and Chefchaouen, and a myriad of marabouts and mosques, with the possibility to worship within. 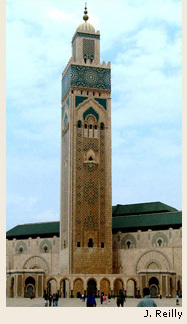 Our skilled local guides will enlighten us as we visit the magnificent mosque of Hassan II in Casablanca and medersas and monuments in Marrakech. They will introduce us to Fes, the most intact Islamic city in the world, filled with characteristic Islamic buildings, decoration and calligraphy, all essential requirements in prayer and Muslim urban life. In our detailed programs, we can include lectures and encounters with anthropologists and Islamic scholars, artists and musicians, all sharing their insights on the influence of their religion in their personal and professional lives. And there will be time for Duhur and ‘Asr prayers along the way, stopping at appropriate places. You will truly have a unique experience in this emerging country, whose late colonization allows us the rare opportunity to see such a rich and ancient culture thriving in the 21st century. This welcoming country has been called "Land of the Farthest West”, as it is located on the west coast of Africa, and closer to the U.S. than Portugal! Long a friend of the United States, it enthusiastically offers its hospitality to American visitors. 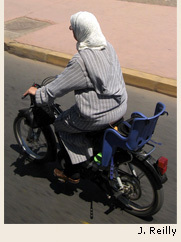 Along with exposure to the cultural and religious aspects of Morocco, there will be opportunities to see, first hand, ancient techniques still used in the creation of textiles, brass and wood work, jewelry and leather goods. Excellent roads and private transportation, comfortable hotels of all levels, and delicious cuisine combine to offer your group an unforgettable experience. Tour of Hassan II mosque in Casablanca, the only one open to non-Muslims. 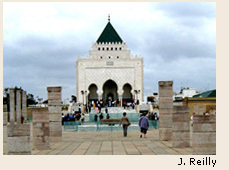 Drive to Rabat for a city tour. Additional activities could include a few days in the dunes of the Sahara, a visit to Volubilis Roman ruins with Islamic scholar, Sufi music performance, and many others, depending upon your group's special interests.